I found this Anhinga drying his wings at Shangri La Gardens while photographing a White Egret rookery. They use the Preserve as a rookery along with the White Egrets and Cormorants. 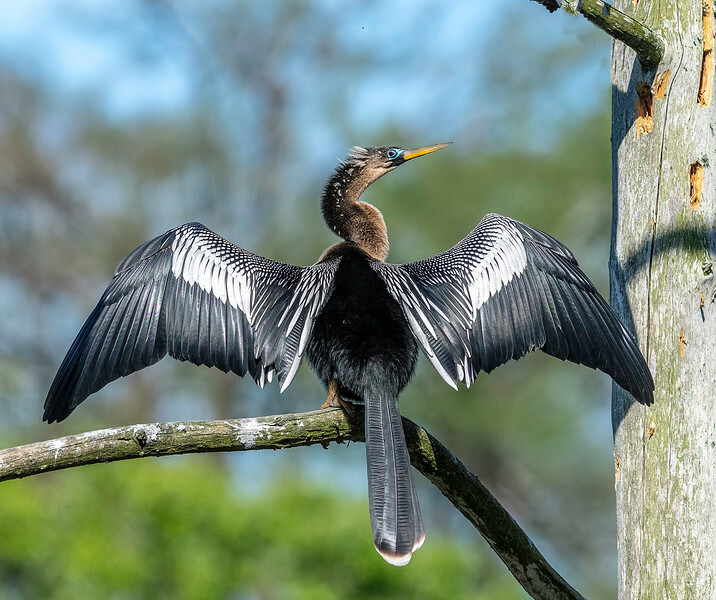 The name Anhinga comes from the Brazilian Tupi language that means Devil bird or Snake bird. Loyd, this image is spectacular!!! Wow! What detail. Love this shot. I got one of a Vulture drying his wings, but it was a long distance shot - not much detail. You'll see it in a few days. Fantastic!!! Excellent lighting and super shot. Great shot of this Anhinga in its usual position. Fabulous capture of the beautiful anhinga! Outstanding shot... the details are fantastic!